On 22nd January 2019, Israel has successfully tested the Arrow 3 missile system from Central Israel. It is done in the collaboration with American Missile Defense Agency. 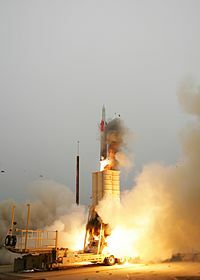 Arrow 3 is considered to be the next step in the defense system, which would help the Israel Military Force to attack their enemies from a greater distance and greater height. It is a long-range anti-ballistic missile. The system launched toward the target and successfully completed its mission. It is intended to serve as Israel's highest-altitude missile interception system.